Do your shopping at Lightning Ridge Opal Mines and Lord Coconut. Appreciate the collections at Melbourne Museum and National Sports Museum. Step out of Melbourne with an excursion to Werribee Open Range Zoo in Werribee--about 32 minutes away. 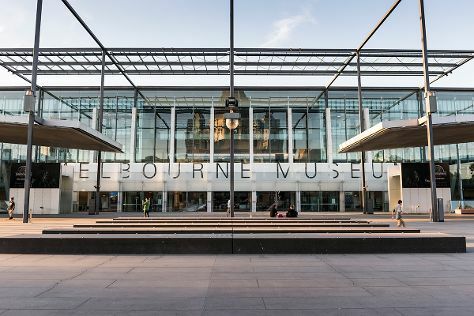 There's still lots to do: wander the streets of Melbourne Central, stop by Readings Book Shop, admire the natural beauty at Melbourne Zoo, and kick back and relax at St. Kilda Beach. For where to stay, photos, maps, and tourist information, use the Melbourne trip planner. Use the Route module to find suitable travel options from Singapore, Singapore to Melbourne. The time zone difference moving from Singapore Time to Australian Eastern Standard Time (Victoria) is 2 hours. Traveling from Singapore in August, things will get cooler in Melbourne: highs are around 17°C and lows about 6°C. Wrap up your sightseeing on the 1st (Thu) early enough to travel back home.